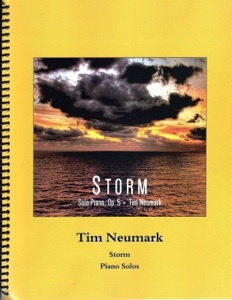 Storm is the companion sheet music book to Tim Neumark’s 2014 CD by the same name. 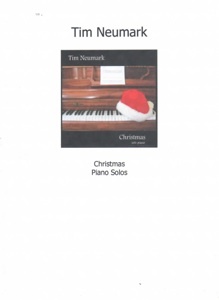 All twelve pieces are included in note-for-note transcriptions by John Zechiel, edited and proofed by Tim Neumark and myself. The book is spiral-bound and printed on a heavier-than-normal paper stock that should still look great after years of play. 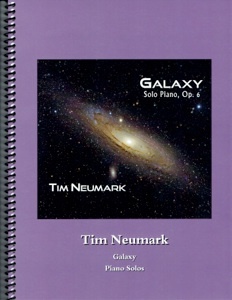 The transcriptions are clear, crisp, and roomy and the music is easy to read. This is very expressive music that pianists of an upper-intermediate to early advanced playing level should have no trouble mastering. Metronome settings and suggested pedaling are included. A couple of the pieces are in tricky keys (see below) and a few are fast (and FUN to play! ), but most are slower and very emotional. 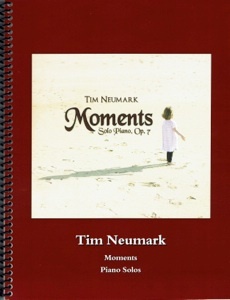 I especially enjoy playing “See You Soon,” “Stolen,” “Transitions,” and “Adrift.” The book is available in hard copies or downloads from TimNeumark.com. Recommended!